These are the new Real Madrid kits 2017/18, reigning La Liga and European champions Real Madrid’s new home and away strips for the upcoming season. Made by Adidas, the new Real Madrid tops were officially unveiled on 14 June, 2017 by the club. 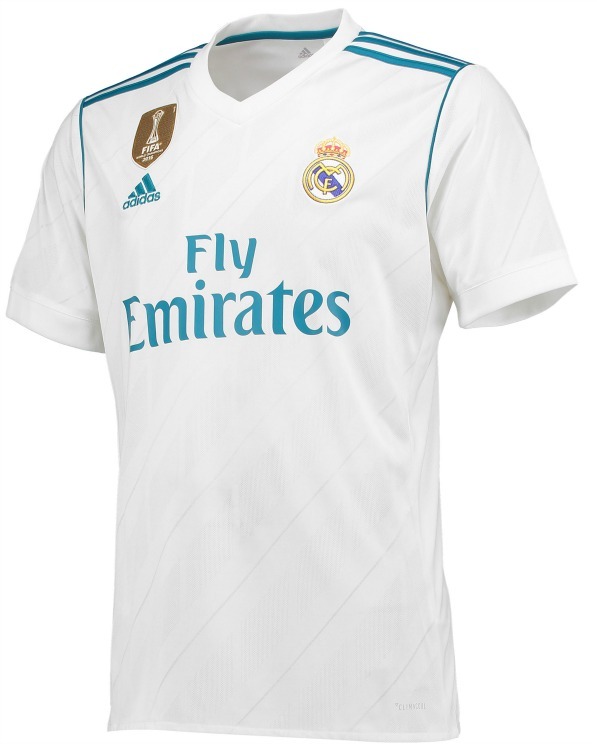 The new Real home shirt remains principally white, as you’d expect, with the blue Adidas stripes on the shoulders and Fly Emirates sponsor logo apparently inspired by the sky in the city of Madrid. This entry was posted in Spain La Liga and tagged Adidas, Real Madrid on June 14, 2017 by Football Kit News. This entry was posted in Spain La Liga and tagged Adidas, Real Madrid on June 3, 2015 by Football Kit News. 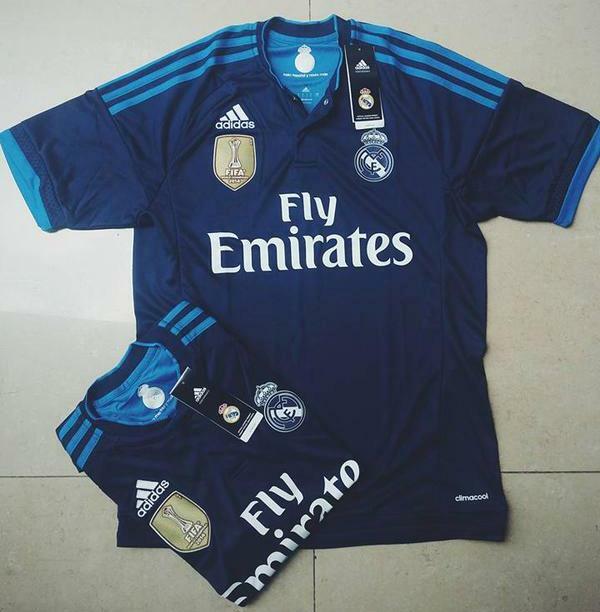 This is what appears to be the new Real Madrid away kit 2015/16, the kit to be worn by the likes of Cristiano Ronaldo, James, Ramos, Bale (if his move to Man Utd doesn’t materialise!) and company when they are on the road for Los Blancos next season. This entry was posted in Spain La Liga and tagged Adidas, Real Madrid on May 5, 2015 by Football Kit News. This is the new Real Madrid Champions League Kit 2014/15, reigning European champions Real’s new UCL away shirt for the upcoming season. Made by Adidas, the strip was officially unveiled on 26th August, 2014 with the likes of Gareth Bale and Iker Casillas present at the unveiling. The dragon jersey has been designed by Yohji Yamamoto and feature his personal signature, as can be seen in the pics below. This entry was posted in Spain La Liga and tagged Adidas, Real Madrid on August 26, 2014 by Football Kit News. This entry was posted in Spain La Liga and tagged Adidas, Real Madrid on September 14, 2012 by Football Kit News. This entry was posted in Spain La Liga and tagged Adidas, Real Madrid on May 31, 2012 by Football Kit News.